Shadow Conspiracy Serpent sprockets in stock now… 25t and 28t sizes… Lots of colors! Add some cool art and color to your bike while stepping up your sprocket game! 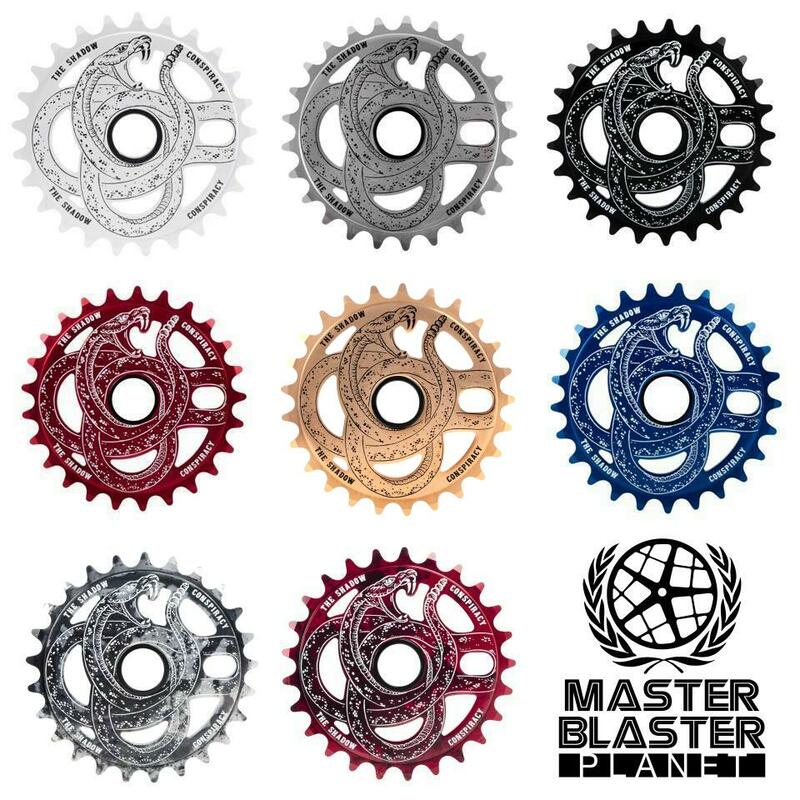 The Shadow Conspiracy Serpent sprockets are available in both 25t and 28t sizes and come in lots of super cool colors. Click HERE to view current size/color options. These sprockets are inexpensive yet strong and lightweight. Made of 7075 aluminum for superior strength and long lasting quality. 5mm thick with 1/8” teeth. Fits 1/8 chains only. Compatible with 3 piece and 1 piece cranks. Compatible with 19mm or 22mm crank spindles. These sprockets are compatible with the Shadow Disaster sprocket guard which is sold separately in our eBay store. Includes 19mm and 22mm adapter. Offset teeth for better chain alignment. Bore: 15/16″. Weight 2.9oz. $29.99 for all colors except the limited edition wood grain colorway which is $34.99. Free sh/h on orders of $75 or more (US only).